Interested in the Granny Square block style? 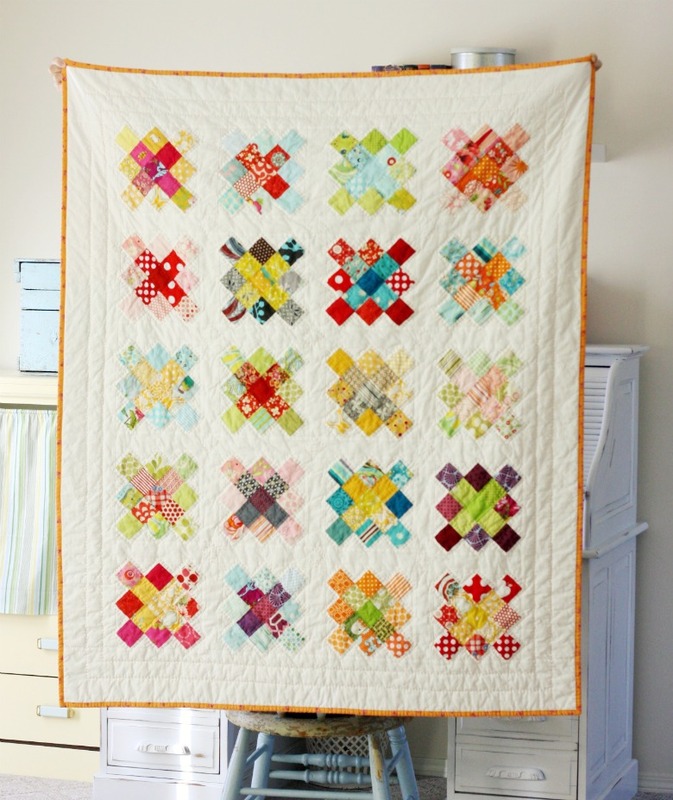 Try this easy and fun tutorial by Jolene Klassen! 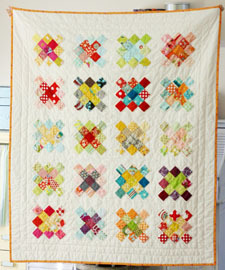 More from Jolene; "You can read about my original inspiration for this block from my blog, Blue Elephant Stitches. Of course when I made the first few blocks I had no idea how they would look in a finished quilt. I'm quite happy with the results though! Sort of a mix of old-fashioned and modern, which is exactly what I love! The final size of my quilt after being quilted and washed, is about 50" x 60", which is an nice lap size quilt. I'll give you instructions how to make one block, but will also give you fabric amounts for making a quilt the same size as mine." 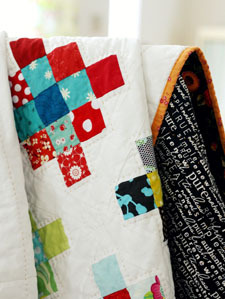 Contributor Info - Jolene Klassen is the author of the blog, Blue Elephant Stitches, and the stitcher of the quilts you see there. That is only one small portion of her busy, happy life with two small kids and one energetic husband. But this is the portion of her life which she wants to share with you because she has been so inspired by all the amazing quilters and crafters in the blogosphere. She hopes you enjoy looking around and would love to hear from you.